suffered a traffic accident it will bring them a big benefit. This patient got a mouth injury some decades ago in a traffic accident. The upper front tooth and the bone upper jaw appeared to have been damaged, too. By the time, the patient had a bridge built and keeps it until now. Some decades later, the bridge built at that time has become damaged . At the time of the first examination there was no solution but extracting the front teeth. After extracting the teeth. The patient is wishing to use an implant but it is not in conditions to have it installed. the actual situation is that the bone does not exist）. The bone where the implant should be installed into is heavily damaged. There is no bone where to implant. Patient wishes something to be done at this respect. I consulted a teacher of oral surgery from the school i graduated from. The Patient entered the university hospital and then we transplanted the bone. Once coming at this point is our turn to take action . Implants for front teeth are very difficult compared to a molar's. but it is also a good challenge for the dentist. This is when i feel how lucky is to be a dentist. This is the conversation topic of all of us who are related to implanting. The traditional implant required a quite long treatment period. We had to wait some time for the place where the tooth was removed to heal so the implant treatment can be performed. Before inserting the implant it was required to wait several weeks. This implant is the response to all of our demands. 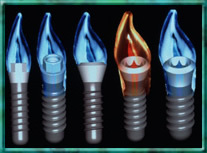 Implant variations support various types of teeth Aesthetic implant has become possible as well. With this, implanting has extended its adaptability. 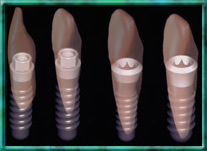 applied have become possible to resolve easily by applying the implant treatment together. With this, even when applying the same orthodontic treatment, results start to appear faster. Miniaturization of an orthodontic device and its simplification became possible, too.